Apologies for long period between regular newsletters and thanks for being patient! I don’t know if you all noticed that April-May we were climbing Kangchenjunga in Nepal. At 8586-meters Kangchenjunga is World’s 3rd tallest peak and I was successful in reaching it’s summit on May 18th at 8:30am after having reached basecamp (5500m.) on April 18th. As this climb was of personal nature instead of guiding I completed it without sherpa-support above basecamp as well as without aid of oxygen bottles. Find the details of summit-day in blog here! Please follow me on Twitter and Instagram to be the first to hear about our climbs this summer! My guided trips are starting again in August as I am leading Aventura’s trip to Mongolia! I am very much looking forward to this. See the program here and sign-up! 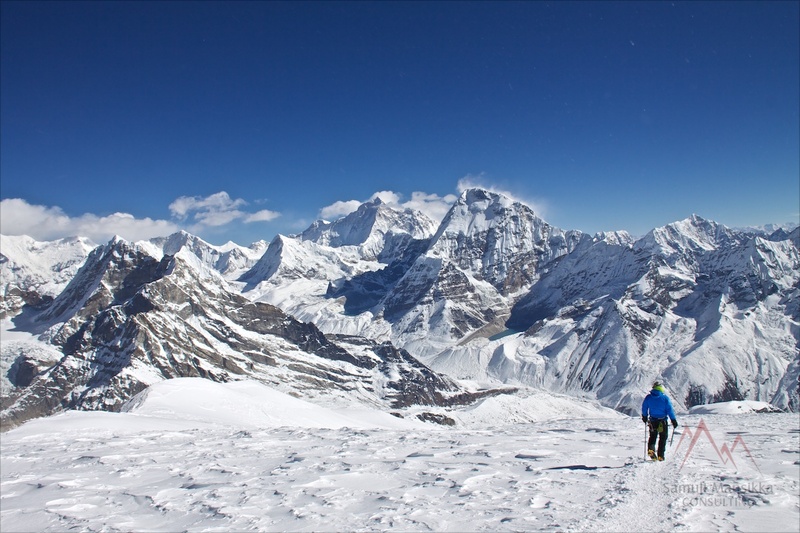 Altitude Junkies Aug-Oct Manaslu expedition is a go, as for many years now! I think Manaslu definitely is one of the most beautiful 8000-meter peaks and a good climb if you are dreaming of breaking the 8000-meter line. You still have time to sign-up for this year’s trip! For me Nepal’s autumn trekking-season starts in late-September. 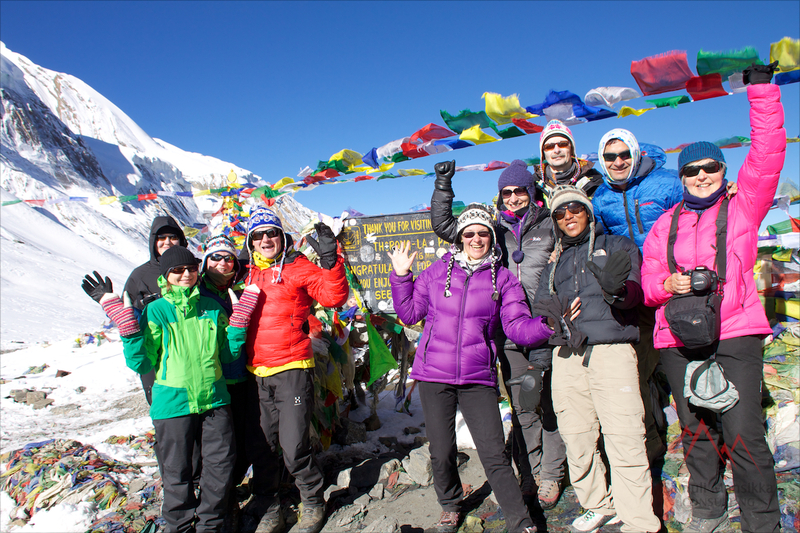 First we’ll do Annapurna Circuit, my favorite followed by Annapurna Basecamp. Still spots available although act quick if you want to make sure you fit in! What I think is probably the most interesting trip of the year is brought to you by Altitude Junkies! When I first went to Nepal in 2005 I had plans on climbing Cholatse, a beautiful 6440-meter peak in Khumbu. We did not back then eventually climb it but ever since I have wanted to. So in October-November Altitude Junkies takes you there on a trip led by both Phil and me! The expedition is operated by high Altitude Junkies’ standards. This is an outstanding opportunity if you have f.ex. thought of climbing Ama Dablam but don’t like the crowds. An absolutely outstanding peak in heart of Khumbu! Contact info@altitudejunkies.com for enquiries and check the details here. After Cholatse I will be continuing trekking-season on Manaslu Circuit. Check Aventura’s program here. Manaslu Circuit is for sure ”The Hot Trek” right now. Due to improved infrastructure it is growing fast and I think it at the moment offers the most diverse trek in very authentic setting. After Christmas I am leading Aventura’s trek to Aconcagua (6959m. ), the highest peak outside Himalayas. This has already been confirmed so sign-up now and join me, if you ever thought of going there! Find me on Instagram and Twitter to follow my trips around the World! Enjoy summer, wherever you are!